I happened to taste Witlinger Beer for the first time on Grub Fest and it was completely worth it. I'm not a beer lover and i had a firm opinion that i'm not gonna like this one too but to my surprise i found the beer not just drinkable but really good to my taste buds. 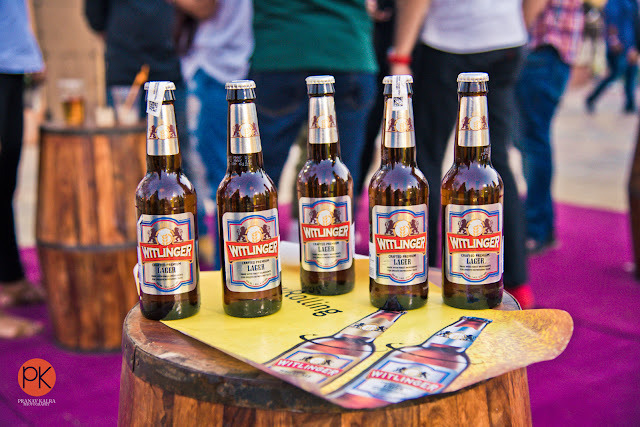 Witlinger Beer was the official pouring partner of The Grub Fest which happened in JLN stadium New Delhi from 17-19Th March . Witlinger has made a great impact in the Indian market by bringing up the Lager and Wheat beer options , thereby making significant developments in the flavour enhancement. Witlinger is one of the fastest growing craft beer brand and is rapidly catching the attention of beer lovers in the country. During Grub Fest , Witlinger managed to reach over 45,000 foodies and beer enthusiasts. People were seen admiring the taste . Witlinger has already made a lot of fans that too in a very short span. Combined with over 130 years of traditional years of brewing heritage , knowledge and expertise , Witlinger beer is brewed with the finest ingredients from around the world to offer distinctive flavours.